Many citizens want free elections; Beijing has other ideas. A long-awaited government consultation sits on the fence. But that might be for the best. What businesses want is stability and rule of law. An anti-climatic compromise would be something they can rally around. 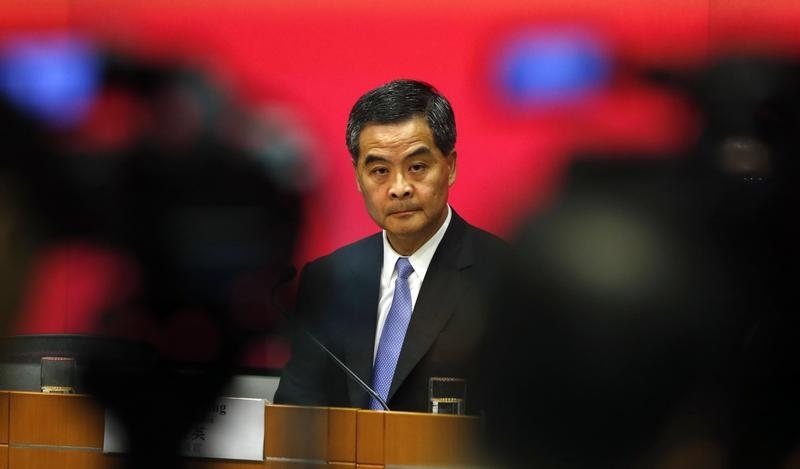 Hong Kong Chief Executive Leung Chun-ying looks on in between video cameras during a news conference in Hong Kong July 15, 2014. Hong Kong Chief Executive Leung Chun-ying released a report to the National People’s Congress, China’s parliament, on achieving universal suffrage for electing Hong Kong’s Legislative Council in 2016 and Hong Kong’s next leader in 2017, on July 15. The report officially asks Beijing to allow for electoral reform in the city, but falls short of endorsing any specific proposals. It comes after a five-month public consultation that attracted almost 125,000 submissions. While Beijing has allowed for the next chief executive to be elected by universal suffrage, the nomination process of candidates has been a contentious issue that has split public opinion. Hong Kong’s constitution, the Basic Law, states that candidates should be selected and vetted by “a broadly representative nominating committee”. Political opposition – led by a faction known as the “pan-democrats” – have demanded the nomination process be open to everyone. Hundreds of thousands of protestors marched in an annual pro-democracy march on July 1. Earlier, more than 790,000 people participated in an unofficial referendum organised by the Occupy Central with Love and Peace movement. Occupy Central has pledged to stage demonstrations in the city’s financial district if necessary. The National People’s Congress Standing Committee is scheduled to meet in August and opine on the subject. A second round of public consultation is expected at the end of the year.